The latest venue for Daniel’s Broiler, Schwartz Bros. Restaurants' fourth Daniel's Broiler location, is located on the second floor of the new Hyatt Regency Seattle. 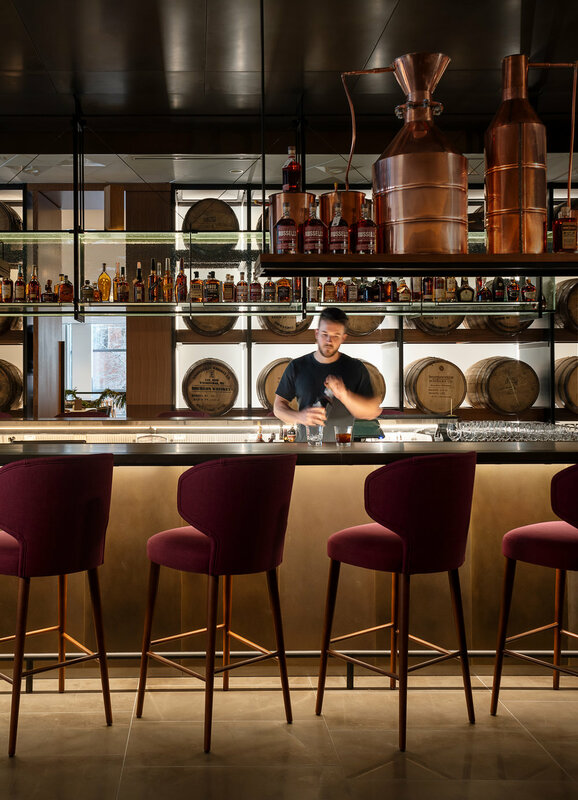 Graham Baba Architects, who initially joined the building design team to ideate and test restaurant concepts for the new hotel, then continued to work with Schwartz Bros., the selected restauranteur, to design the space. The design evolves the renowned brand, reinterpreting the restaurant’s classic steakhouse elements by giving it a more modern aesthetic while staying true to its history and Northwest design traditions. The second floor location creates a dining experience unlike any other in the downtown core, visually merging the dining experience with the street-tree canopy outside that results in a forest-like atmosphere. 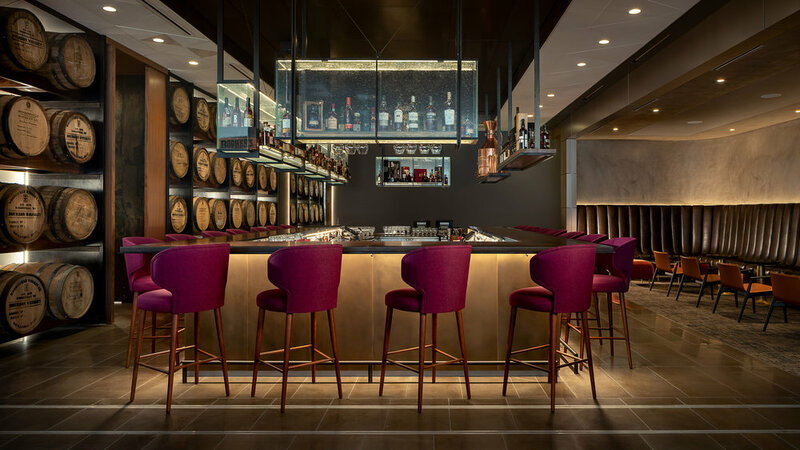 Wood, showcased through mahogany tables and bar tops, and fir ceiling detailing—leather seating and bar edges and steel accents—help contribute to the rich setting. The restaurant accommodates roughly 400 guests distributed between main dining, private dining, main bar, and prime bar. At approximately 14,000 square feet, it is Daniel's Broiler's largest location.